The EduKit school supplies secure website is now open. La Canada Elementary PTA offers the EduKit program as a convenient option for busy families to order school supplies for the 2019/2020 year. 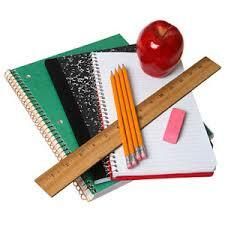 EduKits include the supplies approved by our teachers in one convenient package. If you do not receive an email confirmation of your order, your order is incomplete and your packet will not arrive! Please check your inbox for the confirmation. Also, order the packet for the grade your student(s) will be in NEXT YEAR. Click here to place an order. Your order will be distributed at LCE on August 13 from 3:00 pm to 7 pm in Room 21. Extended ordering is available from June 16 - July 25 for an additional fee and will be delivered to your home shortly before school begins. PREFER TO BUY YOUR OWN SUPPLIES? Follow this link to the Edukit website. Enter your student’s information below and click “Product Information” to access printable lists by class. Please refer to the grade your student(s) will be in NEXT YEAR! 2019 Planners for grades 3-6 will be sold through your child’s teacher at the beginning of the year to students who do not order kits.